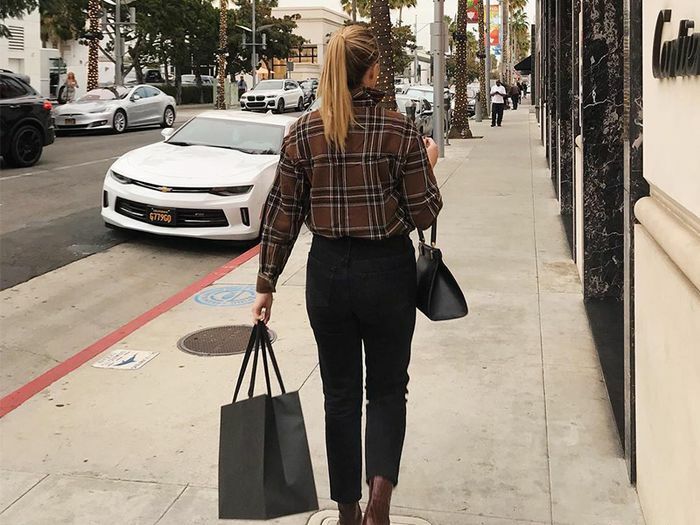 If you’re still on the hunt for the coolest gifts of the holiday season, it turns out you’re in luck because I’ve rounded up the most stylish fashion girls to weigh in with their curated picks. Yes, there are only a few short weeks until the holidays actually arrive, but this is your guide to the shopping picks that actually matter. From the most coveted fashion picks everyone will want once 2019 arrives to the beauty items you’ll find in the regimens of the fashion set to the books you’ll spot on their coffee tables, these cool gifts are the only 18 items you’ll want to give this holiday season. Scroll down to shop their stylish picks and see which pieces made it onto my list. Kim Jones just debuted his latest menswear collection for Dior in Tokyo. Until I can get my hands on that, I'll be scooping up all of the cool pieces from his collaboration with KAWS. The ideal gift to elevate their every look (and your best friend status). Parisian It girl Jeanne Damas just launched beauty products for her brand, Rouje. Any Francophile would be sure to love this palette with four French girl-approved colors. "They're classic, they're easy to wear, they're Fendi… You get the point." "Two words: anti-aging. No one's going to say no to looking forever young. This little guy is an easy travel essential too; throw it in your carry-on! It decreases puffiness, fine lines, and helps with lymphatic drainage." "I'm obsessed with this thing. It's a tiny portable diffuser. Keep it in small spaces eg. lingerie drawer, handbag, car… your favorite Le Labo scent can follow you everywhere!" "I swear by this 50-minute facial. Heyday carefully assesses your skin and then customizes your facial to suit your needs. The products are beautiful and affordable; the music is alternative and chill. No matter the location you visit, there's always a cute gram-worthy waiting area, and you always leave with newborn baby skin. Overall, great experience. Great gift." Lundei, at M Christian Dior ???????? "I have a near photographic memory (or I'm obsessed) when it comes to ads campaigns, especially fashion, so this coffee table book might be the best gift for fashion friends who have everything." "Balade Sauvage is one of my favorite fragrance discoveries this year, and the ancillary products of the fragrance smell equally as luxurious, if not more so." "Limited-edition tie-dye cashmere sweaters by (affordable!) Naadam x Freddo because my family members only have boring, not-tie-dye cashmere. Also, the price point on these is amazing." "I don’t think I could work or live without writing everything down in mine, and people who've received them as gifts usually say the same!" "Who doesn't want to receive a little Prada for the holidays? I can't wait to see how my friends will be styling these." "A stocking stuffer for the friend that doesn't need any more clothes or accessories (rare, but they exist). This makes lips so soft overnight, it's going to be the gift that keeps on giving all winter." "If you think about it, these are basically a guaranteed good outfit wrapped into a gift, since they look great with even a white tee and jeans." "For the girl who loves jewelry, colorful crystal earrings are the perfect finishing touch to any outfit, whether it's casual or dressy." "Le Labo says this smells like "warm skin and resinous wood," which is exactly what I want my boyfriend to smell like." "Most people don't buy nice pajamas for themselves, so a chic set will always be appreciated. I love this heart design for my bestie." "A pair of timeless sunnies will go far. This shape and color are modern but versatile. I think these would look great on my mom."